This is a decadent drink and definitely something that would be a treat. And oh what a treat it is. Make it even more special by painting the cup with streaks of Nutella, because there’s no such thing as too much of the chocolatey goodness. 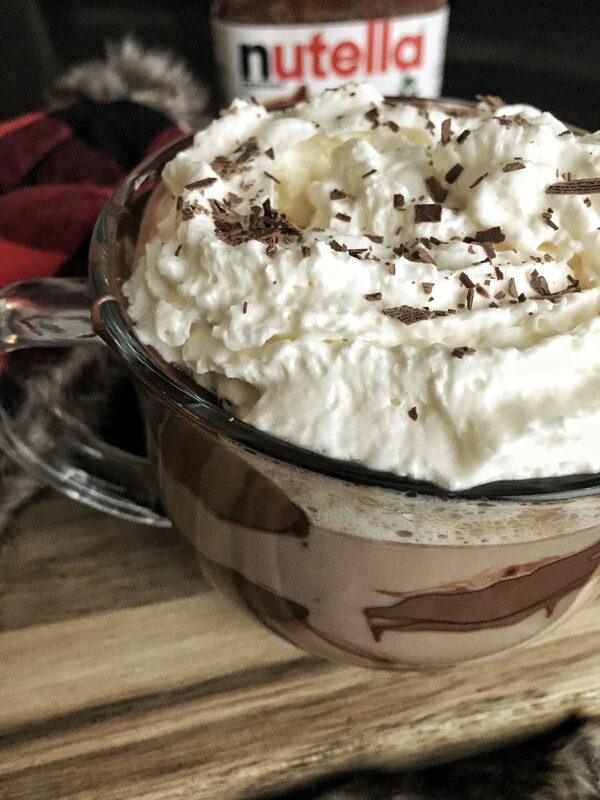 Take this over the top with some whipped cream and chocolate shavings. How do you like to warm up in the cold? Check out some more recipes containing Nutella here. Make espresso and add it to your cup. Warm the milk with Nutella on medium heat and whisk to incorporate. Use the whisk to make the milk frothy and then add to the espresso.